EXCLUSIVE FROM DEADLINE: Sony Pictures Worldwide Acquisitions has closed a worldwide rights deal for the untitled film that Kelly Reichardt just wrapped in Montana. 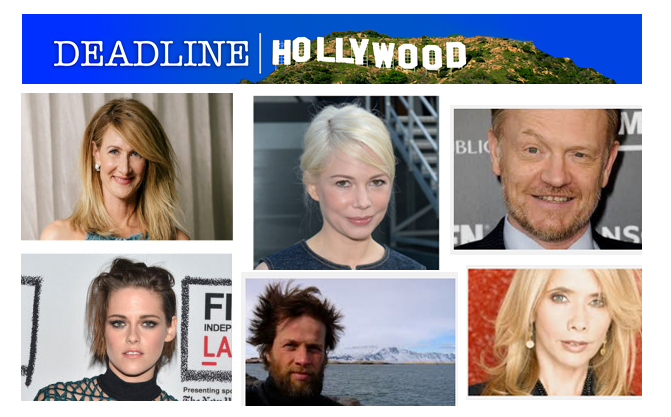 Starring Laura Dern, Kristen Stewart, Michelle Williams, Rosanna Arquette, James LeGros, Jared Harris and Lily Gladstone, the film is a series of vignettes that revolve around the lives of people in small-town Montana. Reichardt wrote the script based on short stories by Maile Meloy. Reichardt previously directed Night Moves, Meek’s Cutoff and Wendy And Lucy. Neil Kopp, Vincent Savino and Anish Savjani of filmscience are producing. Todd Haynes and Larry Fessenden are the exec producers.